That Fourth of July party at Chevron’s headquarters must have been a real dud. Just before the holiday, news quietly surfaced in Latin America that $96 million in Chevron assets have been frozen in Ecuador at the behest of the indigenous and farmer communities who hold a judgment against the company. The communities want to use the funds to begin a long-awaited clean-up of their ancestral lands as ordered by Ecuador’s courts, which imposed a $19 billion judgment against the oil giant in 2011. Diverting funds from Chevron to the Amazon – if it actually happens -- might qualify as one of the more inspiring triumphs of indigenous groups over Big Oil in history. The Associated Press reported that an Ecuador court froze a debt in the amount of $96 million that Ecuador’s government owes Chevron from an unrelated international arbitration. If the communities get the money, they could use it not only to start the desperately-needed clean-up but also to hire teams of lawyers around the world to target Chevron assets to collect the full amount of the judgment. That would allow a comprehensive remediation to take place over an area equivalent to the U.S. state of Rhode Island. (For background, see here for a video about how Chevron used substandard operational practices and then tried to corrupt the trial; here for a 60 Minutes segment documenting Chevron’s deliberate pollution; and here for a summary of the court evidence against Chevron.). Given Chevron’s refusal to pay the judgment, which was unanimously affirmed on appeal, the rainforest communities have the legal right to seize Chevron assets wherever they can find them – similar to laws that allow a mother to pursue child support from the assets of a deadbeat father. For legal purposes, Chevron is now in the same category as a deadbeat debtor and thus is being chased to pay what it owes. Thus far, the communities have hired top-rated litigators to file seizure lawsuits targeting Chevron assets in Canada, Brazil, and Argentina. Those actions are pending. The $19 billion judgment came down in 2011 despite incessant efforts by Chevron to corrupt and sabotage Ecuador’s court system and intimidate judges over the course of the eight-year trial. See this affidavit by Ecuadorian lawyer Juan Pablo Saenz for the chilling details on Chevron’s improper efforts to block the judgment, a summary of which can be read here. The real danger for Chevron is not that the rainforest communities will begin to remediate the company’s ecological catastrophe. That clean-up is absolutely critical to save lives. But the far greater danger for Chevron is that the funds will unleash a torrent of new legal actions around the world. Such actions would likely bring to fruition the prediction of Chevron Comptroller Rex Mitchell that the Ecuador case will cause “irreparable harm” to the company’s business operations on a global scale. The Ecuador freeze order was handed down by Dr. Wilfrido Erazo, the presiding judge in the provincial court in the Oriente region of Ecuador where Chevron (under the Texaco brand) operated 378 wells and separation stations from 1964 to 1990. Erazo’s decision lays the groundwork for the funds to be diverted to a trust fund set up under court order to pay for a clean-up. 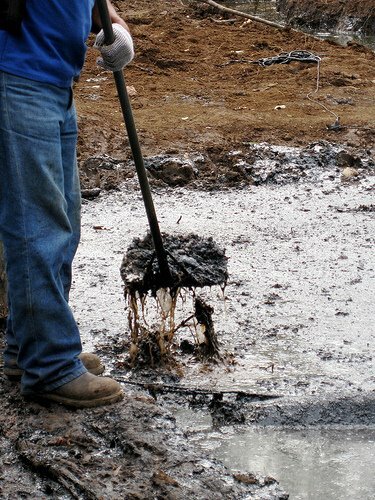 At the time it left Ecuador, Texaco’s internal audits conducted by two environmental consulting firms painted a devastating picture of the nasty impact of the company’s operations – including extensive toxic contamination at 100% of the well sites inspected and an utter failure to implement environmental controls. Records show that in Ecuador Texaco executives rejected spending even modest sums of money to line its hundreds of open-air toxic waste pits so that they wouldn’t contaminate soils and groundwater. It also ordered, in a clear act of obstruction of justice, the destruction of documents relating to its many oil spills. Robert F. Kennedy Jr. visited the disaster zone in the latter stages of Texaco’s operations and wrote a powerful essay describing scenes “reminiscent of war” with rivers running black with oil and toxic waste pits dotting the landscape. Almost two decades later, Congressman Jim McGovern visited and found the same horrid conditions, as can be seen in this letter that he wrote at the time to President-elect Obama. In the 1990s, as it faced mounting liability from the original lawsuit filed by the affected communities in the U.S., Texaco attempted a woefully inadequate clean-up that encompassed only 16% of its oily waste pits. That effort was a fraud pure and simple, as found by the Ecuador court and as confirmed by dozens of independent journalists who have visited the region. Essentially, Texaco “remediated” by running dirt over a few waste pits to hide their existence and leaving others untouched by claiming that they were being used for fishing by local residents. See this recent picture of a waste pit to understand what Texaco’s original pits look like today after its so-called “remediation”. The Ecuador court found that the abandoned pits continue to contaminate soils, groundwater, and surface water – putting at risk the lives of tens of thousands of people who rely on natural water sources for their survival. The freeze order is not the only bad news of late for Chevron on the Ecuador case. We reported last week that the crown jewel of Chevron’s defense to the Ecuador judgment – its retaliatory “fraud” lawsuit against the Ecuadorians and their lawyers -- is now in jeopardy because of the odd rulings of a U.S. federal judge who seems to openly favor Chevron and who has made comments from the bench that the Ecuadorians consider xenophobic. An appellate court recently ordered Chevron and the judge to submit briefs explaining several rulings in the case that appear to defy established legal authority. The Ecuadorians and their lawyers are seeking to remove the judge, Lewis A. Kaplan; two of their petitions outlining his bias and outlier rulings can be read here and here. The appellate court already unanimously reversed Judge Kaplan in 2012 when he tried to impose an illegal injunction purporting to block enforcement of the Ecuador judgment anywhere in the world. That injunction led to a fair amount of international scorn being heaped on the American judiciary. The latest setbacks also come on the heels of a furious critique by many large Chevron shareholders of CEO Watson’s mishandling of the Ecuador litigation (see here and here). Watson was the executive at Chevron in charge of mergers when the company acquired Texaco in 2001 for $36 billion. Watson clearly did not take into account Texaco’s Ecuador liability in the purchase price, a fact which haunts him to this day and has prompted calls for an SEC investigation. In what can only be described as a humbling experience for a man surely used to being treated like royalty, Watson was forced to answer questions under oath posed directly by his longtime nemesis, Steven Donziger. Donziger is a human rights lawyer who with local Ecuadorian counsel spent almost two decades building the case against Chevron. Chevron now targets Donziger as part of a vicious corporate retaliation campaign that includes surveillance of himself and his family. Read this affidavit to get a feel for Chevron’s creepy tactics. See here for how Donziger has sued Chevron for trying to use the New York “fraud” case to cover up its environmental wrongdoing, fraud, and attempted bribes in Ecuador that stretch over several decades. The existence of Donziger’s claims (even though Judge Kaplan predictably has tried to block them) is a chilling reminder of the ugly truth that Chevron tries to sweep under the rug through distracting litigation and a deceptive corporate advertising campaign. The transcript from Watson’s deposition has been sealed, at least for now. Given what’s gone on in Judge Kaplan’s courtroom, we cannot say we are surprised.